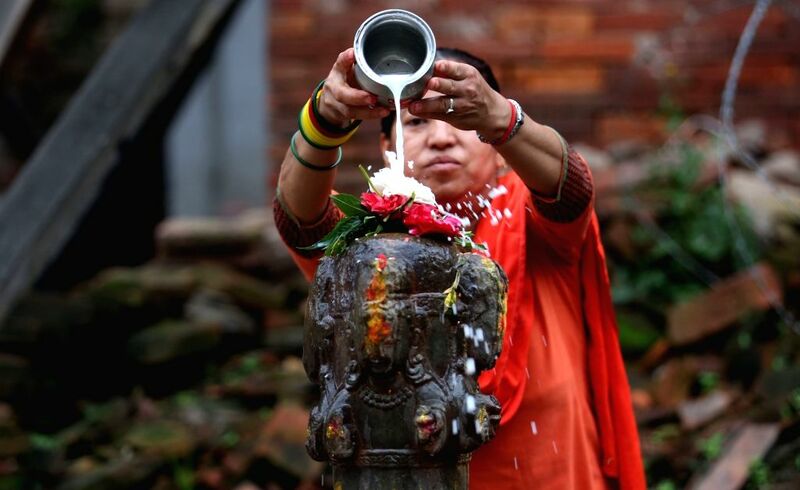 KATHMANDU, July 30, 2018 - A Hindu woman offers milk on the idol of Lord Shiva while offering prayers on Shrawan Somvar at Shiva temple near Hanumandhoka Durbar Square in Kathmandu, Nepal, July 30, 2018. Mondays or Somvar in the month of Shrawan are considered auspicious for Hindu women as they fast and offer prayers to Lord Shiva. 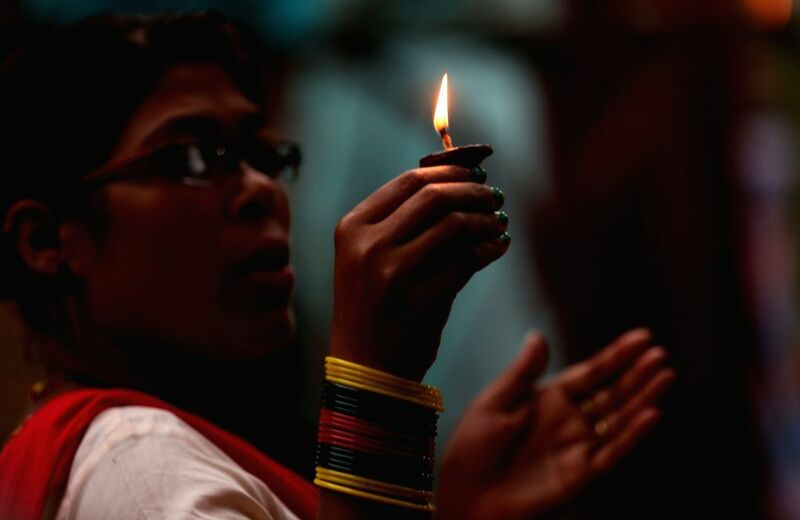 A Hindu woman offers prayers on Shrawan Somvar at Shiva temple near Hanumandhoka Durbar Square in Kathmandu, Nepal, July 30, 2018.